2b2, hbmf3 and BrianAAA like this. Joe Bakaj, responsible for product development in Europe at Ford, wanted to offer the Focus with all-wheel drive. That would not be so easily possible with a torsion beam axle - unless the four-wheel drive is realized via an electric motor on the rear axle. If Ford ever decides to make an AWD Focus, wouldn't it use its new SLA (short long arm) independent rear suspension? Reminder: Only the 1.0 EcoBoost and 1.5 EcoBlue diesel models use a twist-beam rear suspension, the rest use the SLA independent rear suspension. PS: I do recall the all-wheel drive versions of the old Suzuki SX4, S-Cross, new Vitara, Mazda CX-3 and the Chevy Trax (and its Opel, Vauxhall, Buick cousins) all have rear twist beams (they put a hump/bend on the beam to clear the rear differential/shaft). The AWD EcoSport by the way uses an independent rear suspension system. Last edited by AM222; 04-18-2018 at 12:05 PM. Joe Bakaj, responsible for product development in Europe at Ford, wanted to offer the Focus with all-wheel drive. That would not be so easily possible with a torsion beam axle - unless the four-wheel drive is realized via an electric motor on the rear axle. So far, Ford says Focus C2 vehicles AWD is not in the cards at this time. It is a very German view that always sees the compact Ford as a third force . Globally, Focus has historically been the most widely produced car in the world. Now Ford introduces the fourth generation of the Focus - and praises them with pithy words: They have put the best car on the wheels, which exist in the compact middle class currently. This seems bold and raises expectations. Visually, the fourth focus is unobtrusive and very much in the style of the time. If you do not believe it, mentally remove once the nameplates of Mercedes A-Class , Hyundai i30 or Kia Ceed - a brand association is likely to be difficult for little car- affluent people. That does not have to be a disadvantage, because an overly polarizing design should have a hard time globally. And Ford will not want to jeopardize worldwide success. A disadvantage of the design, however, can already be seen in the station wagon: The rear side window is so small that the all-round visibility is likely to be significantly worse than before. The focus had to catch up especially in two areas. One concerns the perceived quality. Although the focus was anything but rickety, the composition of the components left a somewhat coarse impression, which sold the car below value. Quality and above all reliability were not bad at the model built in December 2010 . Ford improved the impression with the 2014 facelift after, but the big step should now be done. The new Fiesta proved that this could work out last year. He has clearly surpassed the predecessor in this regard, similar should Ford succeed in the Focus. Ford has also defused the idiosyncratic design of the dashboard. It looks more elegant to me and yet not bothersome. The first pictures show a version with automatic, which will be operated in the future via a small rotary switch. This creates space that Ford wastes with two cup holders - but these may just be optional. Numerous details are familiar, although Ford wants to have started on a white sheet of paper. These include instrument cluster, steering column lever, steering wheel, operation of the windows. I really like that Ford does not give in to the illusion of a buttonless cockpit. That may not look fashionable, but makes everyday use of the car easier. Basic functions such as loud / quiet, warm / cold, track or radio station change can be used without distractions and long Gewurschtel in menus, which is unfortunately no longer everywhere. Of course, Ford can not escape the trend towards more and more electronic helpers - and it does not want to, after all, it can earn good money. New is an evasion assistant, which should support the driver in the appropriate situation. For the first time there is also a head-up display, which reflects its information on a small disc. The more expensive solution without additional disc has saved Ford. Traffic sign recognition, automatic parking and Abstandstempomat there was already in the previous model, the latter now has a storage function. So he not only brakes down to the car, but can also start again. In the focus is also changed in the headlights: xenon light, as in many places, has its day . With the adaptive LED headlights, however, there is no gain in functionality at first glance. There has also been an "adaptive light cone" so far. The second area, in which the previous Focus had weaknesses, was the space. Here Ford has rearranged the things. The sedan is 1.8 cm longer, the Kombi eleven. The wheelbase grows by at least 5.3 cm, which is a good indication of more space in the interior. The station wagon should offer considerably more luggage space than before and finally unlock the generously cut Volkswagen models in this segment. Whether the still-called station wagon comes up to the space fullness of a Skoda Octavia Combi , must be shown. After all, both are similar in the future. In the sedan, the gain in space comes at the expense of the trunk: Instead of 363, it will be 341 liters in the future, each with tire repair kit. The previous generation had a good reputation in the areas of engines and chassis. In the latter, Ford equips and built in future in the sedan in the versions up to 182 hp a torsion instead of an expensive multi-link axle. The competition has done it in many ways. We hope that the balancing act between comfort and manageability will succeed as well as before. By the way, the station wagon is spared from this cost-cutting measure - it always has the multi-link axle. This discussion does not just have a driving dynamics background. Joe Bakaj, responsible for product development in Europe at Ford, wants to offer the Focus also with all-wheel drive. That would not be so easily possible with a torsion beam axle - unless the four-wheel drive is realized via an electric motor on the rear axle. So far, Ford does not want to look at the premiere day then but not in the cards. The gasoline engines get a cylinder deactivation, which allows them to keep the valves of a cylinder closed in the partial load range between 1250 and 4500 rpm. All petrol engines are likely to get a particulate filter, with some manufacturers allowed under the Euro 6c emission standard, the maximum number of particles also below. But the simpler way leads through a filter. For diesel engines, we assume that everyone will have an SCR catalytic converter - hopefully Ford will save customers the detour via the cheaper solution of a memory. It does not have to be worse, but in practice it is mostly. It will be interesting with the alternatives to gasoline and diesel. After the Focus electric sold moderately, a successor seems rather unlikely. Like many competitors, we expect Ford to offer at least one hybrid drive in focus. By contrast, the previously ex-factory LPG version should be omitted - the production of the 1.6-liter naturally aspirated engine, on which this offer built, is set. For an extra charge, there will be an eight-speed torque converter automatic that Ford has developed together with General Motors. The focus is only in conjunction with engines that provide at least 120 hp. The fourth focus will be on the market in September 2018. The current base list price of 18,900 euros is unlikely to change significantly. He was just in recent years anyway only as a rough guide. Ford made in the online configurator temporarily concessions of several thousand euros. This may have contributed to the fact that the majority of customers have opted for the well-equipped "Titanium" version. There are six versions in the future: Trend, Cool & Connect, Titanium, ST-Line, Vignale and Active. The latter offers more ground clearance and plenty of unpainted plastic and is supposed to suggest talents for driving off paved roads. wtH - how can it have BOTH regular console shift AND a dial for diff automatics? Last edited by 2b2; 04-18-2018 at 01:07 PM. Trying to figure out how Ford was to up-market the Focus Active to charge SUV pricing while not offering and SUV or AWD, when it's just a Focus 5-door. "Increased ride height and extended wheel arches let you command the road. And the larger tyres make the vehicle more stable, increasing your confidence in all terrains." "SUV-inspired design seamlessly blends form with function to deliver a cabin that’s rugged yet sophisticated. " I don't see it as a 'Future' vehicle on the Ford site either, wonder if the 25% tariff for importing it from China to the US is putting a kink into Fords profit plan. 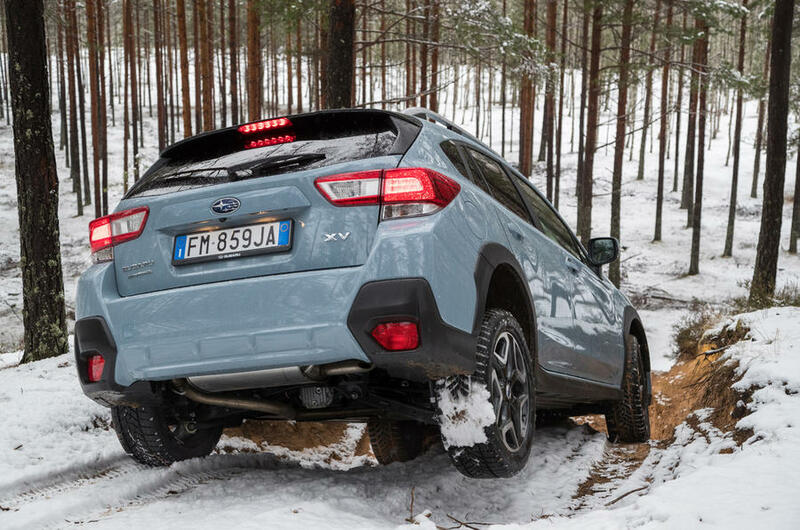 It's literally just a Ford version of the Subaru Crosstrek, which sells quite well. It is a little curious that the Focus Active hasn't been officially announced for the US or featured as a "Future Vehicle". It's certainly possible that tariffs have delayed any commitments for now. Last edited by Assimilator; 08-15-2018 at 12:17 AM. Imported chinese Focus in USA? Forget it! You will have only one car in USA, guys. The Mustang. pffan1990 and Bloggin like this. 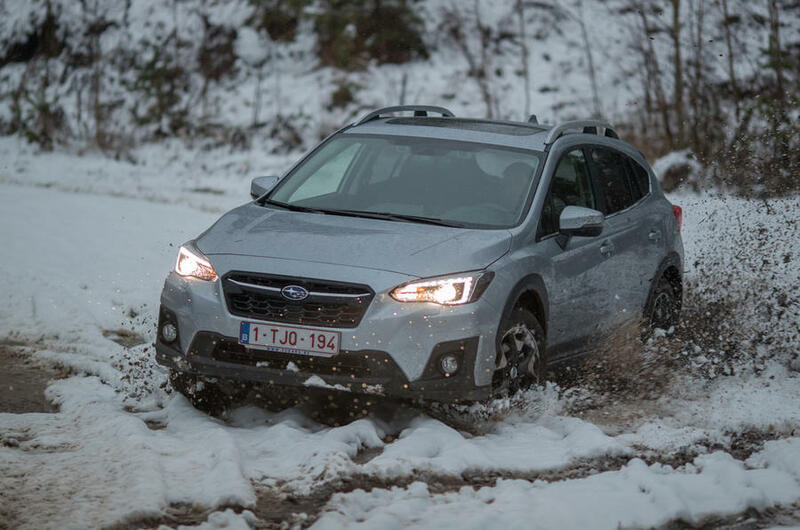 The FWD Focus Active looks the part but the Crosstrek aka XV has standard AWD with *X-Mode. *With the push of a button, X-Mode controls the engine output, transmission, AWD torque split and braking system to help tackle the trickiest of conditions and bring even more rugged capability into sharp focus. It would be interesting if Ford starts making AWD standard on CUVs/SUVs. Last edited by AM222; 08-15-2018 at 10:09 AM. @AM222 100% I agree the the Subaru is significantly more capable. The Subaru is actually shockingly capable. I moreso meant that it is utilizing the same principles. Take a hatchback, lift it and clad it. Voilá, new barnburner product.